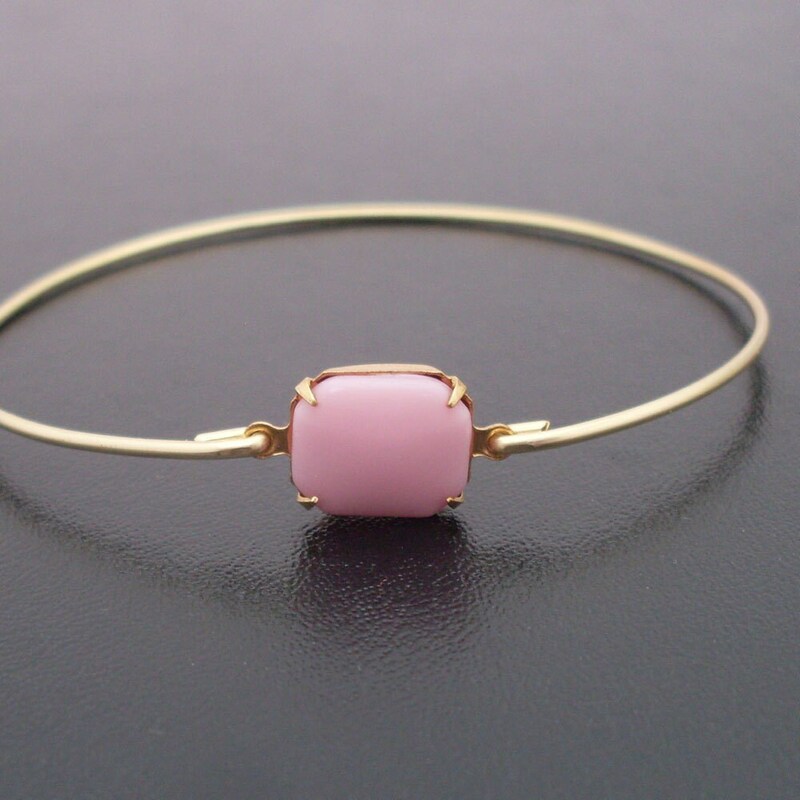 Pink Bracelet - Pink Jewelry - A light pink glass rectangular drop will be transformed into a dainty & delicate pink bangle bracelet with band choice of brass or 14k gold filled. 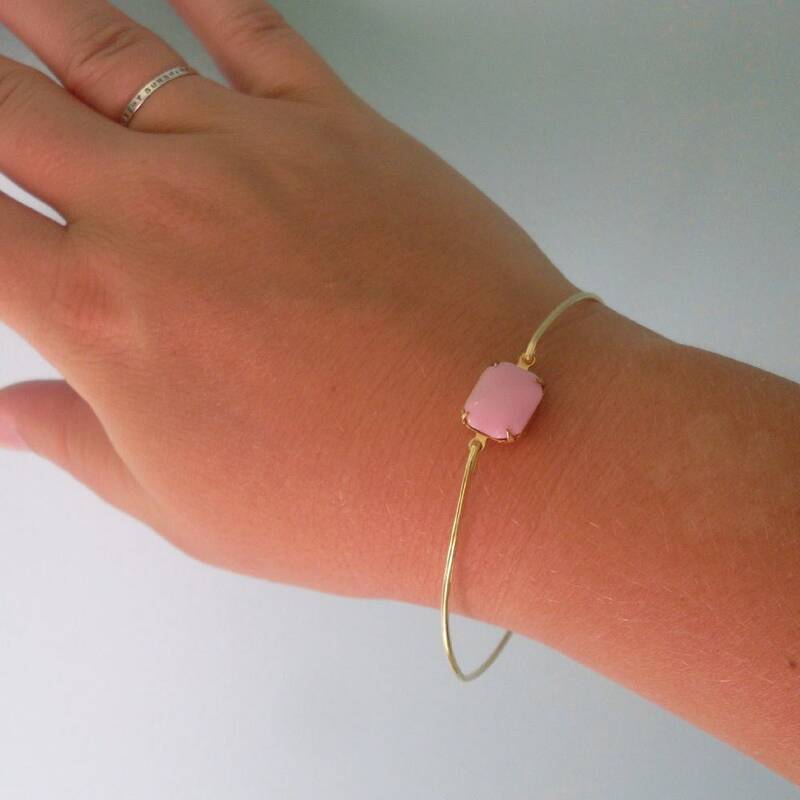 This stacking bangle looks great together with others from my collection. 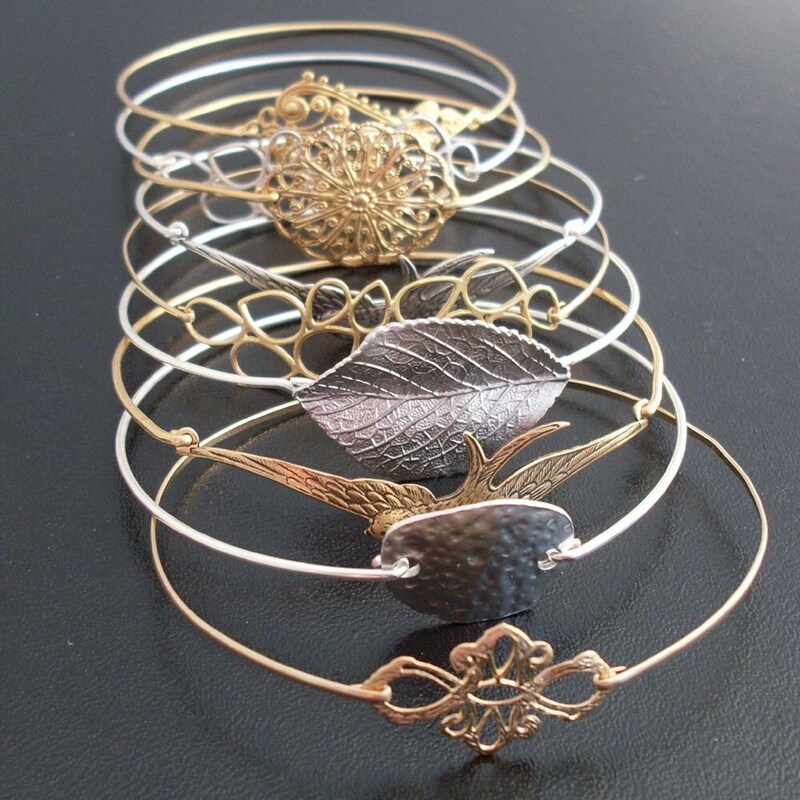 Have fun stacking them in 2, 3, 4 or more for the ultimate layered look.